You all know that I can be a little bit neurotic about saving money, even down to dumpster diving to find free produce, and my phone is no different. I don’t know anybody still using a “dumb phone” who doesn’t wish they had a smart phone, and up until the last year, I was certainly in that crowd. For years, I just couldn’t justify the expense of upgrading though, no matter how handy a smart phone would have been. Despite that, eventually I got fed up and decided to budget the money for a smart phone, but… I couldn’t help looking for something cheaper than the standard Verizon plan. So I looked around, and I found Ting. I think I should probably add the disclaimer here that I don’t get paid by Ting to write about them, I just really love their service, and how much money it saves me! So, looking into Ting, I was skeptical. I mean, what if their service was terrible and I ended up not being able to make phone calls, or use the GPS when I needed it? But since there’s no contract, it couldn’t hurt to try it for a month. So I did! And I’ve been happy ever since. I don’t pay for anything I don’t use. In other words, it’s a pay as you go plan. 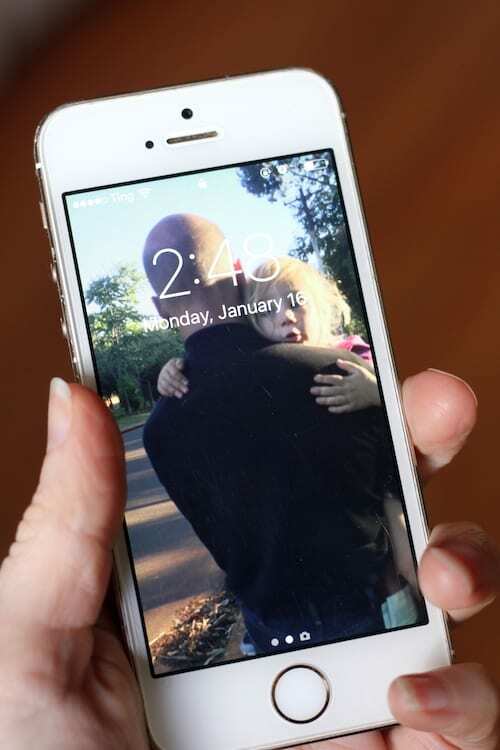 Every 100 minutes, 100 texts, or 100 megabytes costs $3. There is a line fee of $6 a month, plus various taxes that add up to about $2.50, and then I just pay for whatever I use. Now, you may be thinking “but I use my phone a lot!” So do I, but I’ve found that between our home wifi, and wifi in the places I go, I don’t use very much data, and I’ve disabled SMS on my phone, so all the texts use data instead. With that said, I used a LOT of data last month what with traveling and all, and do you want to know what my phone bill total came to? Now THAT’s a phone bill I can live with! I was really surprised by how few phone minutes I used, since I know that I talked on the phone more than the bill stated. Since I use all Apple devices, I can take calls through my computer (which I sometimes do if I’m at my computer and my phone isn’t handy), which makes me think that perhaps when I’m home, my phone calls actually use the wifi? I don’t know, but I didn’t get charge for very many minutes. That’s definitely just a guess, that I should probably look into, but regardless, I’ve been completely happy with Ting, and hope that maybe you can cut your smartphone bill in half by switching as well. 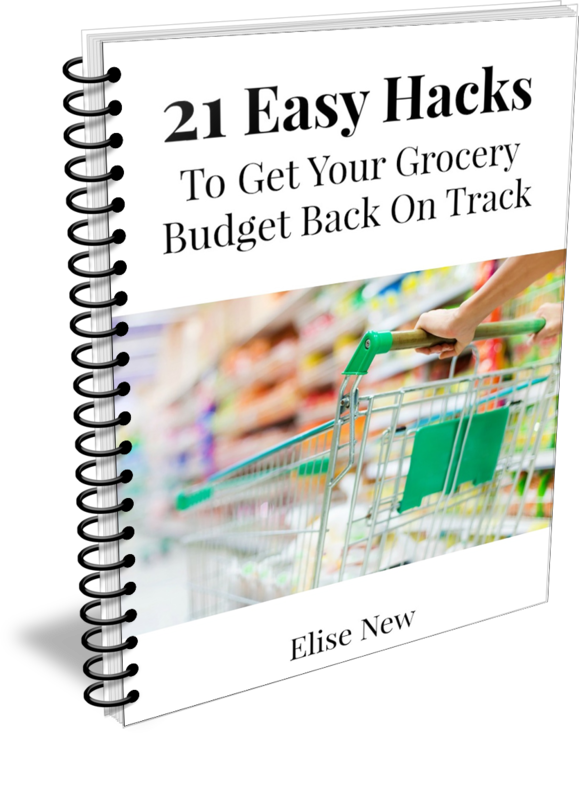 Slash Your Grocery Budget With Easy Hacks! Just enter your email address so we know where to send your hack book! Another great article Elise. I’ve just come across your website and can totally relate to your way of life. Why give others money when it’s better in your pocket? Years ago we had a blackberry for work but the dog got hold of it and we just never replaced it. We aren’t big phone users anyway but what we have done is share a phone so if one of us is out and/or travelling we take the “family” phone. We went to AT&T and got a flip phone and paid $100 for the entire year. We’ve never even come close to using up our monthly time. $100 a year is amazing! go you! 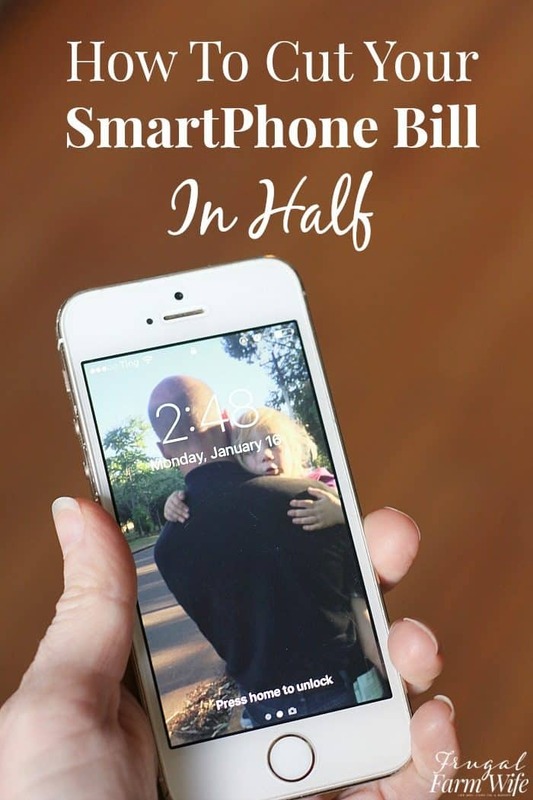 My husband and I have two smartphones and pay a combined bill of $38 per month for both phones (so $19 per phone). We use Cricket wireless, share a group plan with friends, have hand me down smartphones, and pay our bill with discounted refill cards purchased from Target.com.